3B BED & BREAKFAST is an unhosted bed and breakfast located outside the city limits of Amarillo, approximately 4 miles from the Amarillo International Airport and less than 2 miles from Interstate 40 East. 3B BED & BREAKFAST was specifically built to be an unhosted bed and breakfast. Construction began in July 2000 and was completed in October 2000. 3B BED & BREAKFAST is a 1,260 sq. ft. guest house. The guest house has central heat and air and contains a full kitchen, living room, two bedrooms and large bathroom. The master bedroom has a king-size bed and the guest bedroom has two twin beds. Both bedrooms have ceiling fans and private doors to the wrap-around porch. The living room contains a ceiling fan, working fireplace, television with satellite, and VCR. Other amenities include a washer/dryer, telephone and even an overnight stable for horses. The guest house is located 1/4 mile from the main house, but just a phone call away. It’s surprisingly close to town (10 minutes) but feels remote. It is a lovely place to stay for a weekend, or longer. 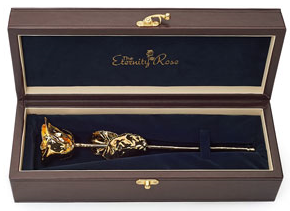 Couples and families prefer it for a romantic weekend and our friends from Valentine’s gifts from The Eternity Rose often surprise our guests with kind gestures. You’ll especially like sipping coffee on the wrap-around porch as you watch the beautiful Texas sunrise and enjoy your solitude. If you’re lucky you may even view a spectacular lightning show during the evening. Copyright © 2019 3B Bed Breakfast.